At Uncle Bill’s Pet Center, we not only offer Outward Hound dog toys for sale, we also employ a highly trained staff that can assist you in finding the appropriate toy for your dog. 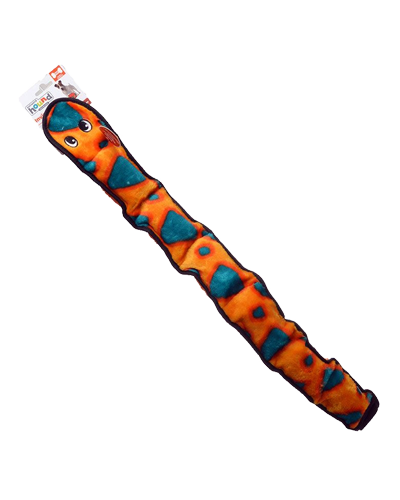 These fuzzy fun-loving snakes are the first of their kind -- always up for a good toss or a tug, and able to keep squeaking after being bit, bullied, and beat up by your dog! 6 Squeakers keep SQUEAKING Even when punctured. Squeakers refill with air when punctured. We will be glad to work with you to ensure that your pet enjoys quality toys for optimal health and happiness by providing the best selection and value on premium dog toys for sale in Indiana.